Limestone is a natural material often used in kitchen and bathroom decor. Limestone tiles are favored by installers for its long lasting, stain resisting qualities. It is favored by homeowners for its rich appearance and go-with-anything style. Kitchen backsplashes can be constructed of many different materials, form painted wood, to marble. Choosing the perfect flooring for your house can prove to be a challenging task. With so many options available in the market, right from carpet to tile, hardwood to limestone, a lot of people find it difficult to choose the perfect tile for their homes. In the recent years, the use of limestone tiles flooring in the houses have increased manifold. Although all the flooring options have their own style and appeal, limestone flooring stands out in terms of the textures and patterns it offers, also, because it is budget friendly, a lot of people opt for this flowing over others for their houses. 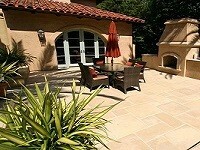 Limestone tiles can be used to create beautiful patios. Here are a few reasons why limestone is better than other flowing options available in the market. Limestone is extremely durable and hence can be installed over heavy traffic areas of your houses such as the kitchen or the living room. Unlike carpet floors and lino that are required to be changed frequently, limestone tiles can last in your house for decades of maintained properly. Because it is a soft stone, it is more comfortable to walk and stand on unlike many other types of flooring such as marble that are hard and cold. Limestone flooring is available in a lot of varieties that differ in textures and patterns. They also come in a variety of colors. So, it will be very easy for you to find the perfect design for you home that also matches the interiors of other rooms. Not only that, they are also known to age with grace. The older the limestone tile, the better it looks. Also, most of the limestone tiles do not get discolored easily. This makes them not only durable but also long lasting. If you have taken an overall theme for your house, say bohemian, you can find a variety of patters to match that theme. Another very important benefit of the limestone tiles is that it is very hygienic and hence suitable for people suffering from allergies especially from dust. Flooring options such as carpet and hardwood to some extent attract dust particles, bacteria, grime and other unwanted particles that affect people’s health. They are also harmful for the people suffering from respiratory diseases. Limestone tile on the other hand does not attract such particles and hence is recommended by lot of doctors. Because it is easy to clean and water resistant, you can be sure limestone does not have any unwanted particles left on it. Limestone is frequently used for flooring in bathrooms, fireplace facades, kitchen backsplashes, as well as indoor or exterior applications. Unlike various floorings that cannot be installed in every room of the house, limestone flooring is versatile and is as preferable for being installed in the bathroom as in the kitchen. Because of the various textures available, you can easily find the limestone flooring you want to install in every room of your house. One very unique feature of limestone flooring is that it is not only meant for interiors of the houses but can also be safely installed outside the house. Thus, limestone tile has various characteristics that might appeal you, from being durable, water resistant and scratch resistant to being the perfect flooring option for every area of your house. It is one of the best choices available in the market. Westside tile and Stone provides you Varieties of Limestone Tiles in Stock in different areas Calabasas, Agoura Hills, Santa Monica, West Hills, Brentwood, Pacific Palisades, Malibu, Northridge and West Hollywood. 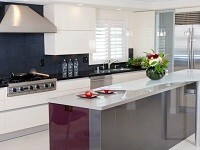 Visit our Showroom for more information. 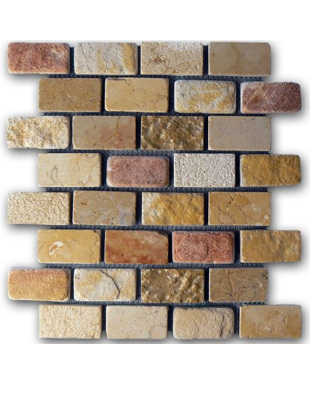 View Limestone tile photos and design patterns. Limestone tile is very usable stone for Slabs & Countertops.